These replacement lenses are for the Extreme Rage Xray 2.0 goggle system. SKU: 1498 Categories: Empire/Invert Goggle Accessories, Goggle Lenses Brands: ER (Extreme Rage). These replacement lenses are for the Extreme Rage Xray 2.0 goggle system. 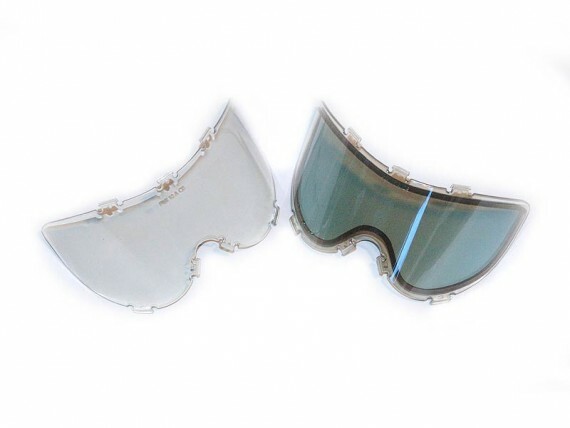 Replacement or Upgrade Paintball Goggle Lenses For Extreme Rage 20/20 and X-Ray 2.0 Paintball Goggles. Stop the fogging! Upgrade your single paintball lenses to Thermal Painball Lenses. Choose a color that will help your style of play. For Extreme Rage 20/20 Paintball Goggles and X-Ray 2.0 paintball goggles. These also fit the Invert 2020 goggles. These will not fit the old-style PMI X-Ray paintball goggles.